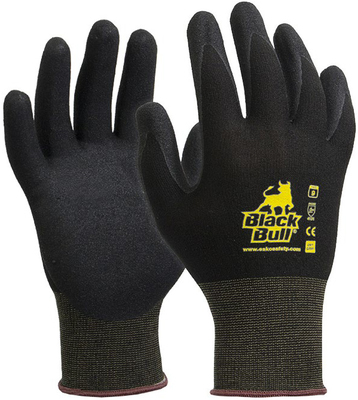 Esko 'BLACK BULL' Glove, Black polyamide liner with black sandy nitrile coating. 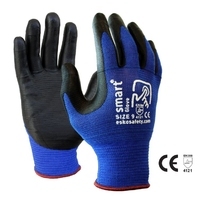 -Black 13 gauge seamless polyamide / spandex liner for increased comfort and breathability. 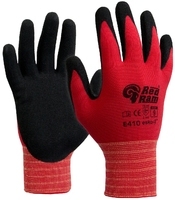 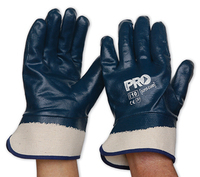 -Patented multi-coated foam nitrile coating creates a spongy, abrasion-resistant but flexible barrier that repels liquids to provide an excellent wet or dry grip. 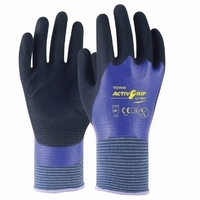 -Highly dexterous, with form fitting liner knitted with the latest U3 technology.